A History of more than 4000 years of Taxes, when will we ever learn! In the early days of so called Human Civilization the Tax base succumbed to an extortionately high intolerable level, which in fact was in the 100% Tax bracket. Not surprisingly the people dominated by it were called “Slaves”. The masters that the Slaves worked for, were the original founding Tax collectors who comprised of various types of Nobles. The Nobles acted on behalf of and reported to the Kings that maintained a dedicated bloodline to keep the wealth and control of people in the family. 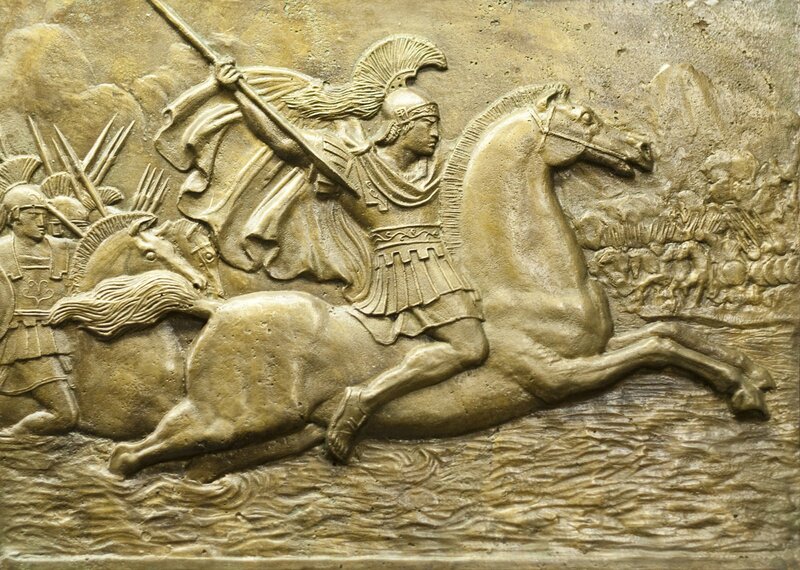 Alexander the Great made a brilliantly simple offer to the world at large: Pay my Army 10% and keep the rest. He promised to destroy all of the Tax collectors. The Army of Macedon marched into the Tax Service Centers of Persia, Asia Minor, Egypt and the rest of the known world sacking and burning them. Cities everywhere built elaborate monuments in honor of Alexander the Great, before his army even arrived. Literally everywhere in the civilised world desperately pleaded "Please, conquer us, too". 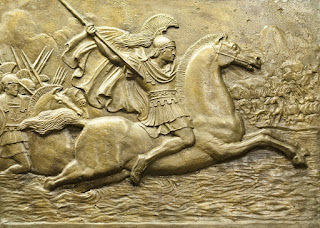 During the reign of Alexander the Great the world over enjoyed explosive economic growth, creativity increased and notable cultural advances were also made. Then one sad day, Alexander passed away. The Greeks then took over and initially showed promise in terms of mythology, language, democracy, astronomy, medicine, the arts and philosophy. However, during the following few hundred years, a series of progressive rulers slowly raised taxes and cooked the people of the time like Frogs in boiling water with an array of complex Taxes. As a result the Greek Empire inevitably collapsed. For Greeks today this sounds like Deja Vu! The Romans subsequently took over, with the promise to lower taxes to anyone that surrendered without a fight. Everybody naturally joined and why not? This is of course except for a few socialists at the time in Israel whom they duly crucified (that's another story). The Romans bravely decreed that the world would be Taxed at an extremely low rate. Moreover, all Italians at home would pay absolutely no Taxes at all. Not surprisingly, the Roman Empire advanced throughout the civilized world, bringing prosperity, law and culture. Rome itself evolved into one of the most advanced, cultured and swinging fun cities the world has ever known. The Romans even set up offshore Tax havens such as Delos and a few other places. Europe was slowly taken over by a new set of Tax collectors. They were appropriately called Vandals. This mottly and savage bunch believed in 100% Tax followed by certain death for the Taxpayers. This of course did not support the Tax base and the world moved backwards. Despite courageous Tax relief crusades by Attila the Hun and Ghengis Khan respectively, an era of high intolerable Taxes collected by feudal lords in addition to the Churches of Europe prevailed for centuries. It was called ”The Dark Ages”. Reason being, nobody could afford to turn on the lights! Then a few isolated trading communities not yet conquered by the Arabs such as Venice in Italy cut their Tax rates to fuel trade and commerce which duly exploded. Low taxes brought wealth and joy everywhere. Today, Dubai and Bahrain are the new Arab Bastian's of freedom, where taxes are concerned! The Arabs were overruled on the prospect of lower Taxes. In order to deliver on promises, the new Spanish kings supported the voyages of Columbus and America was kind of discovered (perhaps rediscovered). Sadly, 100% of taxes were imposed on the Native Indians who were worked to death to send Gold and riches to the Europeans back home. Everybody who loved freedom headed west for the new Frontier. Tragically, by 1914 the frontier was closed and as there was nowhere else to hide, Congress passed their own version of American Income Taxes. This was not enough for the greedy French of the time who actually expected to be paid for the war damage. So the lifetime savings of all Germans were confiscated through an inflation tax. It was still not enough. Taxes went up all over and the world depression followed. Germans owed several times what their properties were worth. Foreclosures were rampant, unemployment was total, and anarchy threatened. The Communists were the largest party in urban areas and hope for the future was gone. Germany cried for "a savior on a white horse". In rode Adolf Hitler. Hitler wanted to be the world's unique tax collector. He (like many nasty conquerors before him) liked a 100% rate and anyone who was not ethnically German he wanted either dead or in slavery. the way. To avoid this fate, much of the rest of the world collaborated to oppose Hitler and then came World War II. profits, dividends and interest earned on savings tax free. This encouraged wealth creation. Suddenly, with the possibility of getting rich legally, the once dis-incentivized Germans and the copycat robot Japanese became innovative, creative and hard-working again. Their economies duly soared. Meanwhile in the red Communistic world of China they were experiencing consecutive famines. The tax rate on communes was cut by the Commies (who got something right for a change!) from 100% to nothing. Agricultural production exploded. Soon China was no longer starving, but they were exporting food. Then they started economic free zones where many of the Chinese who lived there became millionaires, while those under traditional communism still stagnated. Meanwhile, in the USA, when the Kennedy tax cuts went into force, the economy, and tax revenues, grew so fast that America had its only balanced budget since World War II. Meanwhile the UK suffered from EC imposed socialism.The UK actually nearly became extinct when tax rates were up in the 98% status. Margaret Thatcher saved the day, when she immediately slashed tax rates, and eliminated the socialism that kept the country back. Every day in England until Thatcher left, the future looked brighter than it did before. Except for the worst countries of the third world, tax rates were for a while, dropping around the earth. Communist countries, with nothing to lose but their chains, were cutting taxes and worshiping at the altar of capitalism. But their mentality was so warped by Communism that they still do not understand. Steadily the Tax rates have risen across the EU since inception and we are now moving into a period of depressing austerity and economic crisis. The European Common Market was a popular idea which is what most voters actually thought they were getting into. Now there are un-elected commissions, the powers of each member country are diminishing and even if a country votes NO to further integration, the EU spends more of Tax-payers money on marketing to support a new YES campaign to turn around and then ignore the original NO vote. This happened to Holland and Ireland, but most countries did not even get a referendum. Greece, Portugal, Spain, Italy and Cyprus all reached the point of economic collapse. They will all need billions of euro more than what has already paid to bail some of them out. The only answer from the EU is to apply more of the same austerity and taxes, which of course will kill growth and bring each of these nations to eventual collapse if not the whole EU if countries follow this suicidal course, if history tell us anything. Clearly the leaders across Europe have a profound lack of respect for History, but there is hope as the British voted for freedom via Brexit, but negotiations with the Communistic block are proving to be tough to leave. What we are seeing now is a slow inexorable move towards the New World Order. Here an American Union, European Union, African Union and Asian Union will all ultimately report to the World Union for ultimate control of our Planet. You can guess what Tax rate will be applied if the new World Order ever happens! Fortunately, there is an awakening going on across Earth, which offers hope for the future.